and folk-religious traditions. They are both "manifesting" up out of this mountain in geological time. Gyeongbok-gung Palace (main royal seat 1392-1910) and Korea's Presidential Mansion (the "Blue House"). and the Central Upper Shrine-Altar is right in-between them. in the early centuries CE when Mahayana Buddhism became established in China and spread to the Korean Peninsula. 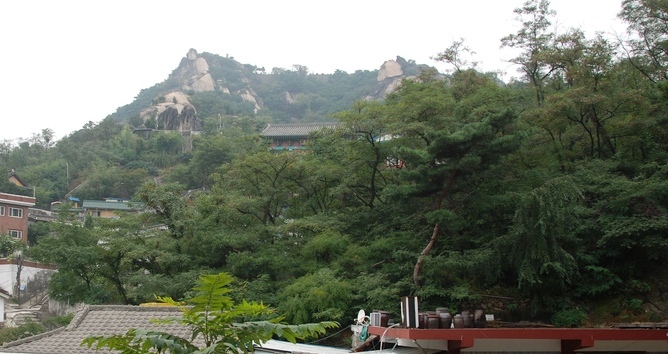 Seonam-jeongsa, the largest and most prominent out of the many Shamanic/Buddhist temples here. 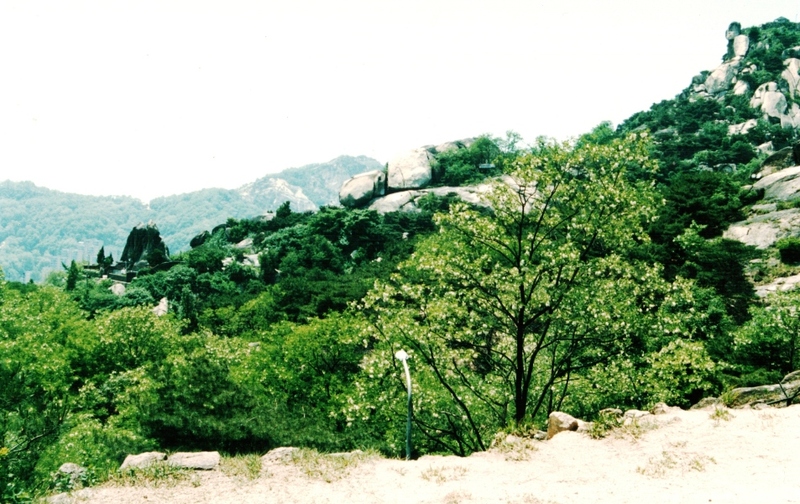 Seon-bawi stands black on the left, and the Benevolent King sits up at the top-right. but somehow this still "works". The "crouching body" is indistinct, looks better from the SE. [Baekho-ak] of the West [Seo-ak] in the pungsu-jiri geomantic configuration of Seoul city.